Whole Grain Rotini is corkscrew shaped pasta, about 1-1/2-inches long. 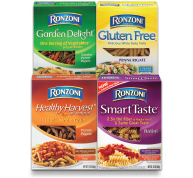 One of the most versatile of the Whole Grain pasta shapes, you can use it in entrées, oven bakes, side dishes, soups and cold salads. 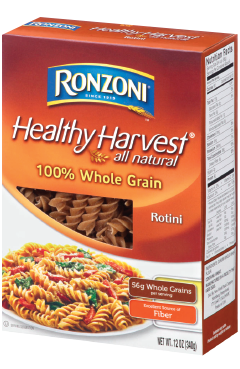 Whole Grain Rotini can be paired with almost any favorite pasta sauce.